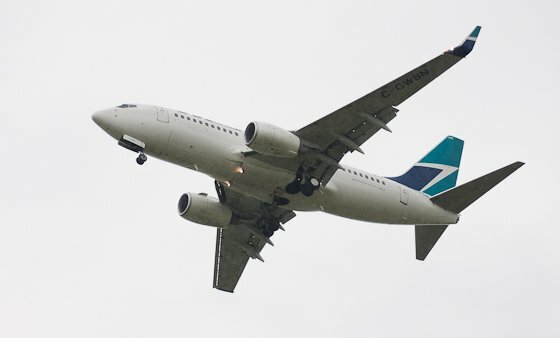 WestJet Service from Windsor to Calgary is Offically Open! The first Westjet plane touched down on Windsor Airport’s runway this afternoon at about 3:23 and departed back to Calgary at 4:15. This daily service will continue until October 31, 2010. WestJet celebrated it’s return to Windsor International Airport in the terminal with complimentary cake. WestJet operates a fleet of 88 Boeing 737 Next Generation’s.